Lukasz Piszczek became the first Polish player to appear 250 times in the Bundesliga when he took to the field in a game which took his career in Germany full circle at the weekend. 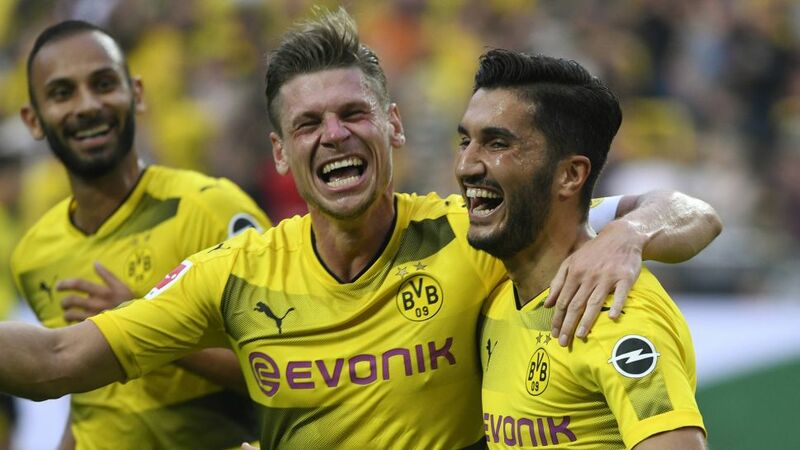 The full-back started life in the Bundesliga at Hertha Berlin, and it was against his first German club that he reached the landmark figure in Saturday's 2-0 win for Borussia Dortmund, after which he took time out to discuss the emotions of the occasion and Dortmund's start to the season. Question: Lukasz Piszczek, Dortmund have started the season with two wins, scoring five and not conceding any. How does it feel to be leading the way? Lukasz Piszczek: It's great! We set our hearts on going into the international break after making a good start to the season and we started very well in Wolfsburg. It was a bit tougher against Hertha because they defended really well, but we got the goals at the right time. Question: So are you saying that the team have already totally understood Bosz's style of play? Piszczek: It's not as easy as that. It's looking good, but it also depends a lot on our opponents and their style of play. If our opponents did a better job, then maybe people would be saying we're not where we want to be yet. But it's definitely positive that we've not conceded many chances in these first two games and we're definitely heading in the right direction, but now we've got to keep this up and continue to work hard in training. Piszczek: I'm absolutely delighted to have 250 Bundesliga games under my belt, but I hope I have plenty more to come. The main thing is that I remain fit and healthy, then we'll see how many games I get to play come the end of my career. Question: Are you actually relieved that the issue with Dembele going to Barcelona has now been resolved? Did that have any effect on the team? Piszczek: Ousmane's been gone for two weeks now. We'd dealt with it as a team early doors and if he does come back to see us, then we'll sort everything out, but if not, then that's it. It is how it is. But I think the team have been strong to shove this to one side and not let it get to us, and we've done well to focus on our games.